Now that spring is finally here, people in Minneapolis can look forward to nicer weather and longer days. While winter may still pop up here and there, March and April can be great months for getting out and seeing the city. 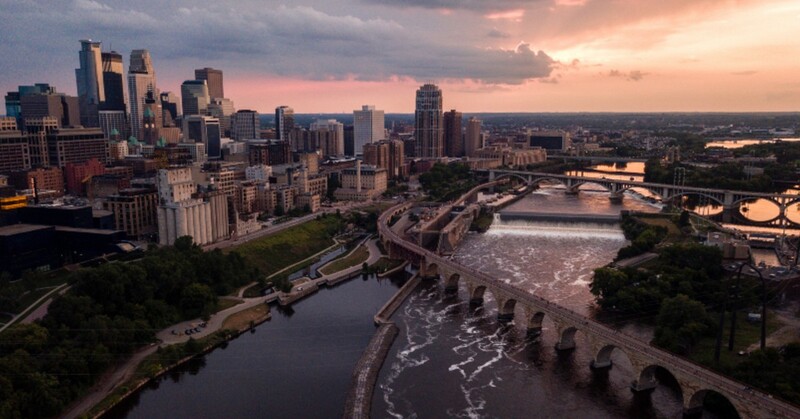 Whether you’ve lived here all your life, or you just moved here over the winter, the Twin Cities has something to offer everyone. At Moto-i, our Japanese restaurant has something for every taste. If you’re out and about this spring, we hope you’ll come by and try some of our traditional cuisine. Even if you’ve never had Japanese food, we know you’ll find something you love! Minneapolis has a fantastic selection of shopping options, and if you’re looking for a new spring or summer wardrobe, you should be able to find tons of stores that fit your style and your budget. You can visit a mall that’s close to your house, or you can head to the biggest mall in the country – Mall of America. With 500 stores and 10 attractions, including an indoor theme park, Mall of America is visited by millions of people each year. If you’ve never been there, or at least haven’t been there in a while, it can be worth the trip. Our restaurant is only about a 20-minute drive from the Mall, so if you’re hungry after shopping, stop by for lunch or dinner! Target Field, home of the Minnesota Twins, is located downtown just minutes from the Mississippi River. If you’re a baseball fan (or more specifically, a Twins fan), then there’s nothing better than catching a home game at one of the newer ballparks in the major leagues. The Twins open the 2019 season on March 28th at home against the Cleveland Indians. If you can’t get tickets to that one, you’ll have 80 more chances to see your team play this year. Our restaurant is 10 to 15 minutes from the ballpark, so if you didn’t get enough to eat and drink at the game, come by for an evening or late-night meal. As the weather warms up, you may want to spend more time outside. If you enjoy nature, then the city has plenty to offer. The Minneapolis Sculpture Garden and Wurtele Upper Garden at the Walker Art Center has amazing pieces on display, and you can walk around in the sunshine, looking at work by notable artists such as Claes Oldenburg, Coosje van Bruggen, and Martin Puryear. Lake of the Isles Park is located in our neck of the woods near the Lyn-Lake neighborhood, and with spots for canoeing and picnicking, you can enjoy time both on and off the water. It’s a pet-friendly park, so feel free to bring your dog with you. There’s an off-leash dog park, so you can let Fido run to his heart’s content! When it comes time to decide what to do this spring, it can be as simple as doing what you want to do. You’ve been inside all winter, and now you want to get out and explore the city. Minneapolis has so much to offer in terms of culture, entertainment, dining, and more. If you’re in the mood for traditional Japanese cuisine and sake that’s brewed on-site, then visit our restaurant today.